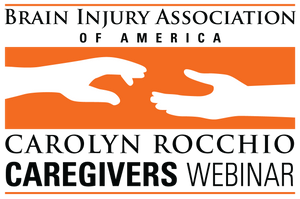 A Carolyn Rocchio Caregivers recorded webinar featuring Allan Grill, M.S., CRC, MFT, Nationally Certified Rehabilitation Counselor. Aired live September 28, 2016. How do families deal with personality changes after a brain injury? These can be evident both early on after the injury, due to impaired awareness and increased impulsivity, and later on due to changes in how the person with a brain injury processes incoming information. This webinar is formatted as an interview with Allan Grill. CRC, MFT. Throughout the presentation, we discuss how families deal with the personality changes after an injury and offer strategies families can use as well as useful resources professionals can share with families. We share case scenarios, followed by a discussion about issues and concepts that families need to understand in order to effectively manage behavioral and personality challenges.